The Hoshizaki CRMR27-W worktop refrigerator is constructed of stainless steel for heavy duty use and corrosion resistance. Structure is provided by 2 inches of foamed in place polyurethane insulation. The cabinet door is self-closing to help keep cold air inside, while its stay-open feature makes loading product and cleaning easy. The door handle is made of extruded aluminum and is flush with the rest of the door for protection. 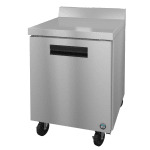 The top of the unit can be used to prep food or hold equipment. 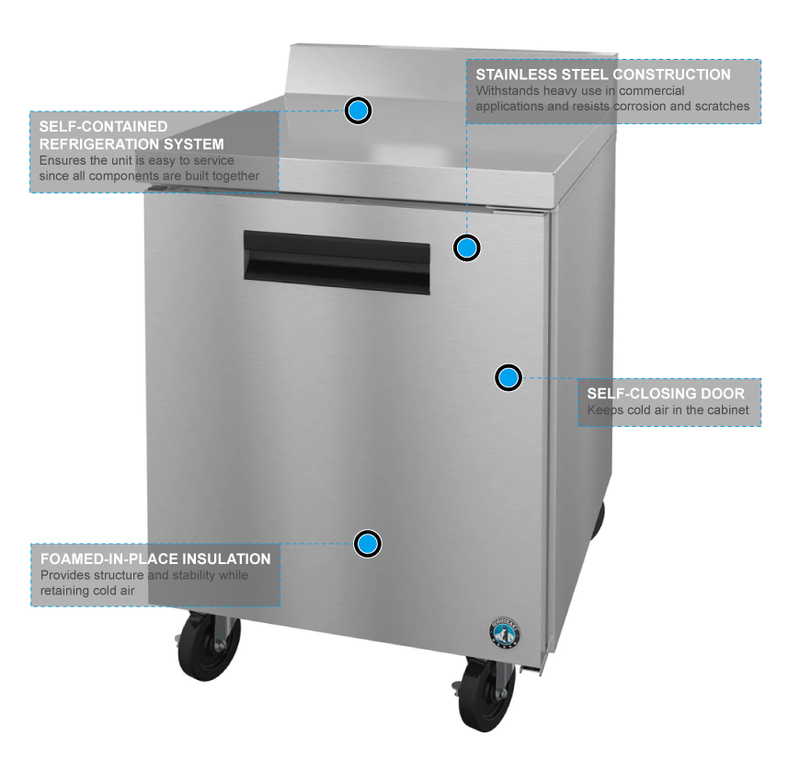 With a self-contained refrigeration system, service is simple since all the major components are built together. The front breathing design allows the cabinet to be set flush against a wall. The evaporator coil is coated in enamel to resist corrosion and has an off cycle that melts built up ice. Temperatures are kept cool with R-134A refrigerant that runs through a capillary tube system. 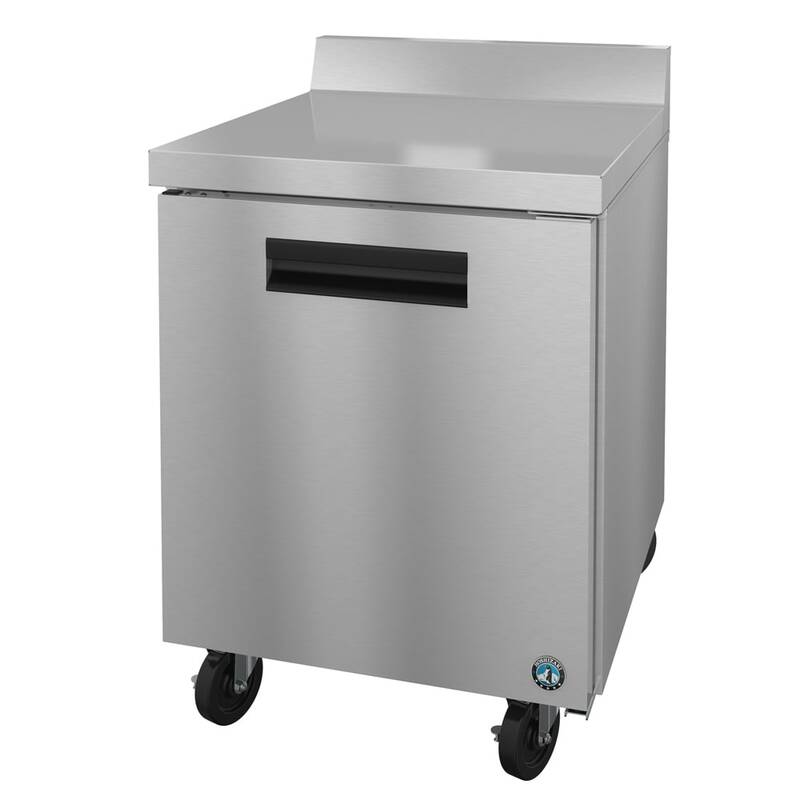 The Hoshizaki CRMR27-W worktop refrigerator has a temperature range of 32 to 52 degrees Fahrenheit. Price NEW LOW PRICE NEW LOW PRICE Login for More Info! Login for More Info!